VICTORIA 4500 by F. X. Schmid (Argentina) S.A.
Naipe Español "Victoria ®" 4500 published by F.X. Schmid Argentina S.A., Aristóbulo del Valle 1257, Buenos Aires, c.1965. 48 cards + 2 jokers, manufactured in West Germany. Naipes "Victoria" was formerly a brand name belonging to Cia Fabril Financiera, but it now appears to be registered by Schmid Argentina S.A. 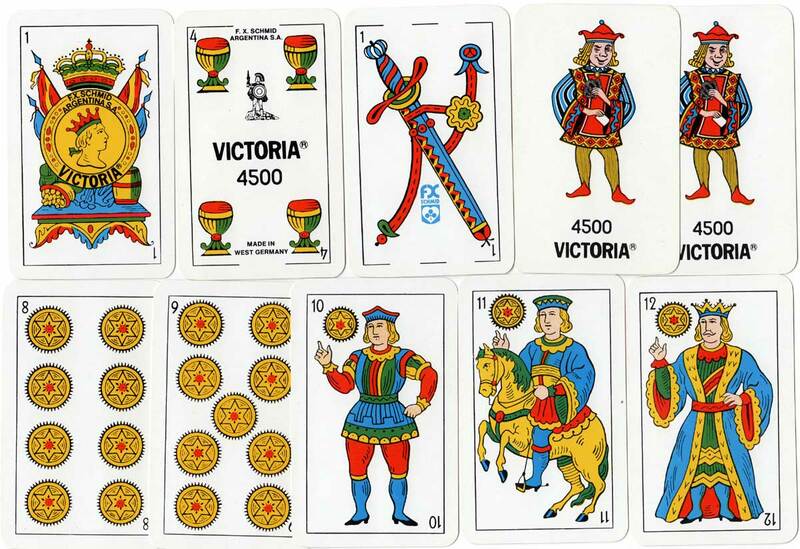 The cards are identical to those published earlier by Cia Fabril Financiera, including the gladiator logo on the four of cups and box. The design of the jokers is copied from Fournier. An F.X. Schmid logo has been added to the ace of swords and also the box. 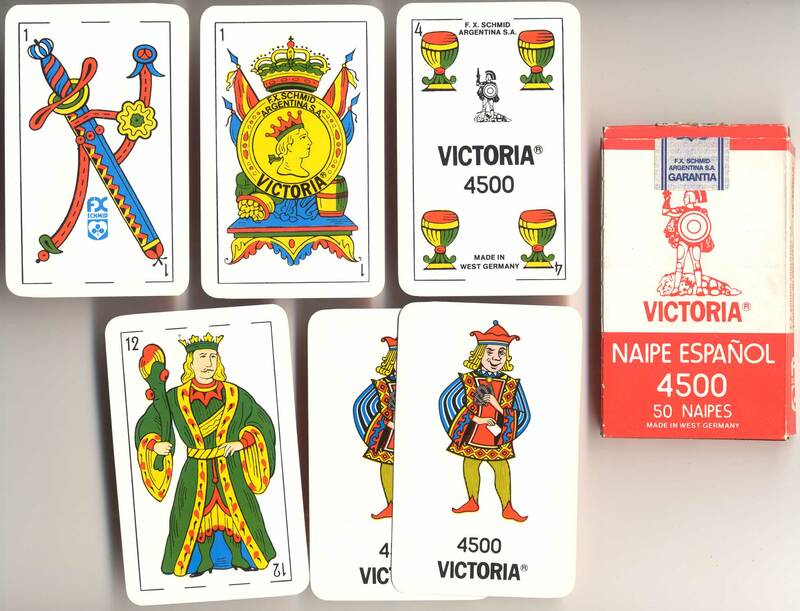 Above: Naipe Español "Victoria ®" 4500 published by F.X. Schmid Argentina S.A., c.1965. 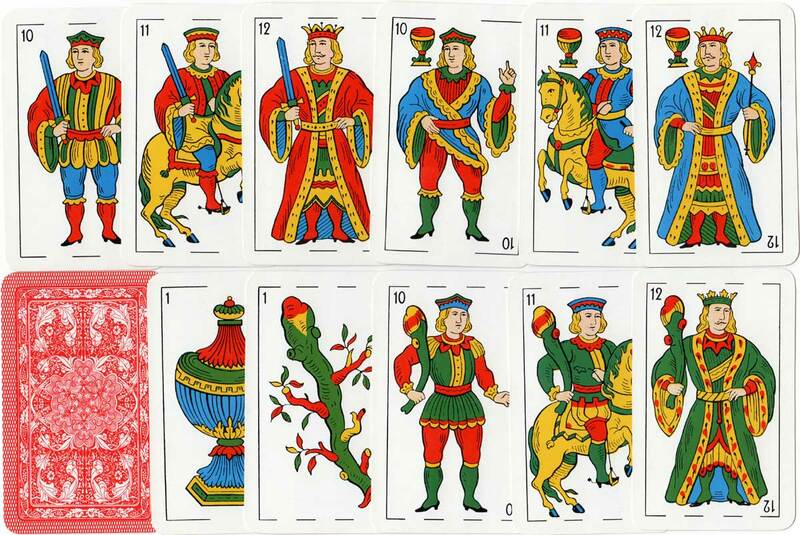 48 cards + 2 jokers, manufactured in West Germany.